Francesca was a trainee with us in 2017. 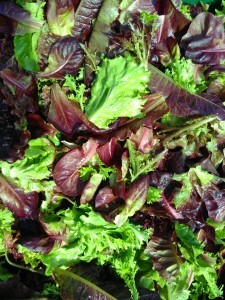 Whilst with us she decided that she’d like to pursue growing salads and greens for local businesses and markets. 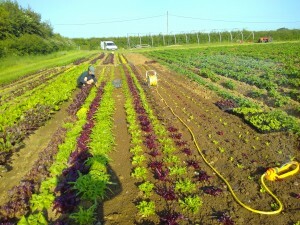 This fitted well with Cae Tan’s aims to help establish new growers and build local produce availability. Francesca is an employee of Cae Tan, but is working within here own budget that is separate from that of our membership income. 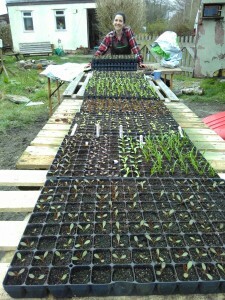 Cae Tan as an organisation are supporting her by accessing grants for materials & her time, offering support & advice & offering free access to the land & a polytunnel at Furzehill whilst she gets established. Thanks to the Naturesave Trust for funding materials. Francesca has done an amazing job of setting up her growing area, doing some of her own fundraising & building contacts with local businesses. She managed this whilst holding down a near full time job at a cafe in Gowerton & cycling back & forth between Waunarlwydd & Lunnon to weed, sow, plant & water at all hours! 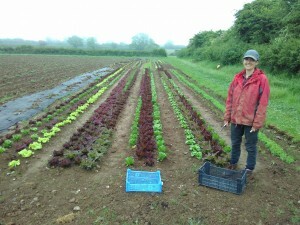 She’s also been learning to drive between planting, so that she can streamline delivery of her produce. A month of Francesca’s time has been paid for with funds from last years harvest party. We are also awaiting a grant from NRW which if successful will give her a part time wage for the coming months to support the establishment of her enterprise. The funds from NRW……if we get them…..Will also support another new producer to set up a sustainable farming scheme in 2019. This may be as part of Cae Tan or in some kind of partnership with us. We’re really pleased that Francesca has joined Cae Tan as a board member & will be one of Gower’s future growers helping to shape our development as we move forwards. Note to members….you may be wondering…… wheres our salads!! They have been a bit sporadic the last month but they’re on the way…..Whilst Francesca is concentrating on this one crop, we are establishing about 30 different crops on 6 acres. So volunteer planters are still very much in demand! !